I am not sure if its 100 percent confirmed but it seems many are claiming that shiitake mushrooms, when exposed to the sun (dried preferably) has D3. I don't see it mentioned in this article, it is very costly but I wonder if its a reliable source. Sorry, but mushrooms are D2. Don't waste your money. There are no vegan sources of D3. I was told by someone about a product from Megafood Vitamins that was supposedly made from yeast. If you go to the page there, you can read the conversation that I had with the company who stated that they simply take D3 from lanolin and feed it to yeast who transform it into a substance that they haven't even tested and so don't know if it really even brings up blood levels or not. I also was told about a product by a company called LifeGive who claims to make a vegan D3. A representative was happy to answer my questions until I asked what it was made from (I made sure to let them know that I didn't want trade secrets) and if they had proof that it worked to bring up blood levels. She told me that she would ask the doctor who founded the company and after 3 emails, she's not returned my emails again. I appreciate a lot that you did some research into this. Which I did not expect, very professional and appreciated :)!. Glad to have this confirmed as fake as I will avoid wasting my money now. Unfortunately I don't think I will do any sun bed treatment due to the health negatives of them. I will try to take D2 supplements when the sun isn't around. 1. We of course measured D3 increase through the sophisticated Spectracell testing. This nutrient is extracted from the mushroom without damaging its integrity. Shitake mushroom are the only viable host to derive this nutrient from in any significant way. Like the gentleman who?s inquiry, the laboratories in a country that we distribute to, were also unaware that this nutrient could successfully be derived from a non-animal source. Please do not hesitate to write if you have any further questions. More info on LifeGive products.. I have more info on the LifeGive products to give you. I DID receive a copy of an independent lab test that I asked for. Unfortunately, the Lab Sheet that LifeGive sent me says that the product contains "Vitamin D". There is no mention of whether it is D2 or D3- which is what I've specifically been asking them for months now. So, I'm not going to waste my time with trying to get an answer out of LifeGive. They are obviously not forthcoming with proving their claims- and therefore, I will NOT endorse their product that 'claims' to be Vitamin D3 when I suspect that it's not.. This brand is vegan and produces a vegan supplement of D3 from algae. 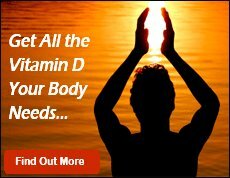 It has been confirmed to be actually Vitamin D3 and the only vegan Vitamin D3 on the market. It is Kind Organics Vitamin D3, with the Vitamin D from Vitashine.